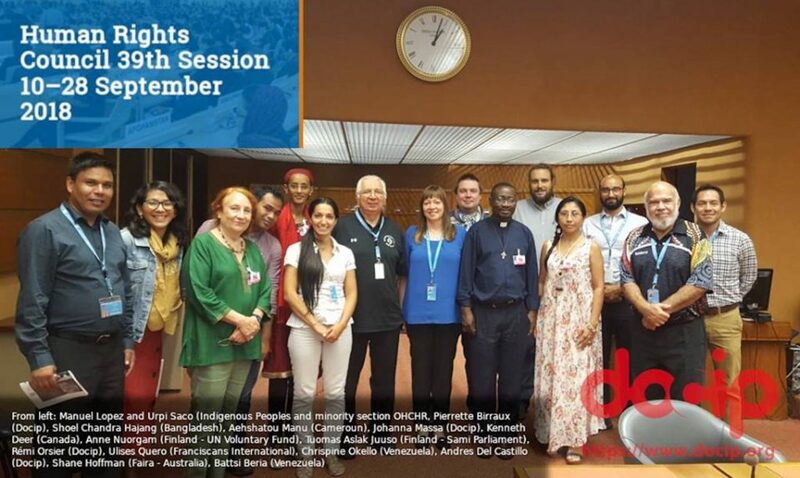 Australia Awards alumnus Shohel Chandra’s dedication to protecting the human rights of indigenous peoples culminated in him recently addressing the United Nations Human Rights Council in Switzerland. Shohel, an Indigenous Peoples Human Rights Defender from Bangladesh, has been lobbying for indigenous peoples’ human rights for more than ten years. Specialising in community development and indigenous rights, Shohel’s main concerns include protection of human rights of indigenous peoples, establishing land rights of indigenous communities and ensuring sustainable development of natural resources. He belongs to the Hajong indigenous community from the plains of Bangladesh and began his campaign at the grassroots level. Through an Australia Awards Scholarship (the first offered to a member of his community), Shohel studied a Master of Development Practice at James Cook University in Cairns from January 2015 to December 2016. The two-year learning experience in Australia helped him to take his fight to a larger stage and successfully participate in national and international conferences on indigenous and human rights issues. After returning from Australia, Shohel actively participated (with the support of Australia Awards) in the 27th Annual Regional Human Rights and People’s Diplomacy Training Program for Human Rights Defenders, which took place in Timor-Leste in 2017. He subsequently attended and participated in the 39th session of the Human Rights Council and the 11th session of the Expert Mechanism on the Rights of Indigenous Peoples, which were both held at the Palais des Nations in Geneva, Switzerland, in 2018. Shohel advocates for the importance of ensuring the safety and security of indigenous women and children against all forms of violence and discrimination. He stressed the importance of this when he addressed a session on Agenda item 6 on Universal Periodic Review (UPR) Outcomes of Bangladesh at the Human Rights Council in Geneva in September 2018. While welcoming the decision of the Bangladesh government to accept the recommendations to implement the Chittagong Hill Tracts Accord, he added that “It is urgent to take effective measures to implement the basic points of the Accord, for the peace, development, and prosperity and for the greater interest of the country”. He says attending the sessions was an opportunity for him to both understand the UPR mechanism and engage with the procedure; to participate in the panel discussions on the rights of indigenous peoples and the UPR outcome of Bangladesh; and to extend his network at an international level. Shohel expresses his gratitude to the United Nations Voluntary Fund for Indigenous Peoples for providing him with the opportunity to participate in the sessions held under the theme Participation and the inclusion of indigenous peoples in the development and implementation of strategies and projects in the context of the 2030 Agenda for Sustainable Development. Beyond advocating for human rights at conferences at the international level, Shohel works towards the promotion and protection of the rights of indigenous peoples in Bangladesh as a Project Coordinator at Kapaeeng Foundation. Besides his current involvement in Kapaeeng Foundation, he is the current Treasurer for Adivasi Australian Scholars’ Association of Bangladesh and a lifetime member of Australia Alumni Association Bangladesh. He has served twice as the Organising Secretary of Bangladesh Jatiya Hajong Sangathan, a community organisation.